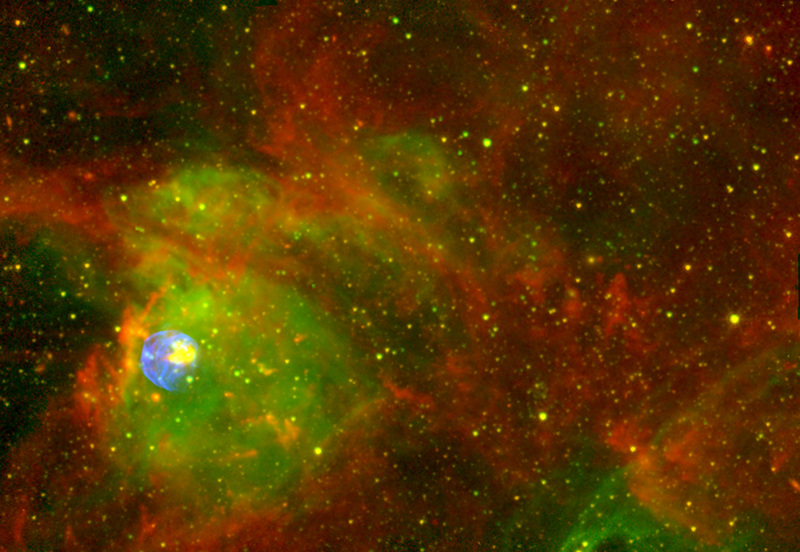 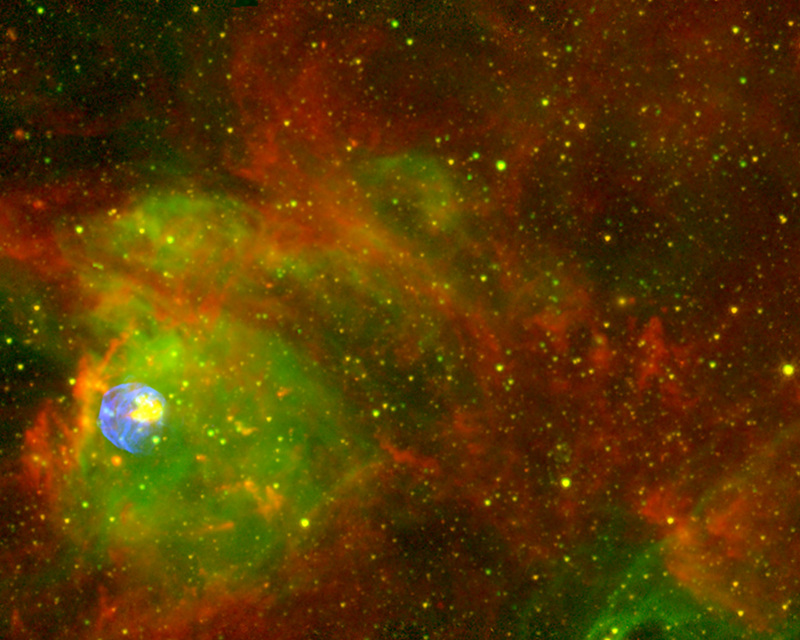 A colour composite of Spitzer infrared, Chandra X-ray and ground-based Halpha. The colour assignments are: Chandra (all bands) (blue), CTIO ground-based H-alpha (green), Spitzer 4.5 micron (yellow) and Spitzer 8.0 micron (red). Position (Dec): -66° 1' 13.42"